Develop mathematical thinkers with Math Stackers! Kids discover the relationships between the properties of math through stacking and comparing our mathemagical blocks. Hands-on learning has never been so fun! Empower even your youngest with a love of math. 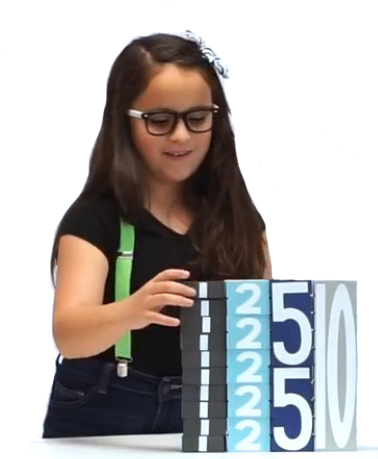 Kids interact with math as they create, order, measure, build and of course, KNOCK DOWN!